Nationwide, average single family home sales prices ticked up just 3% in 2014, while Northeast prices edged up 2%. In contrast, prices in those Greater Boston towns where I focus my business (see list, below) jumped 8% on average, with a wide range of town-specific increases. The range in increases for these desirable towns spans from 5% in Sudbury and Winchester to 14% in Lexington and Burlington to a high of 17% in Weston. 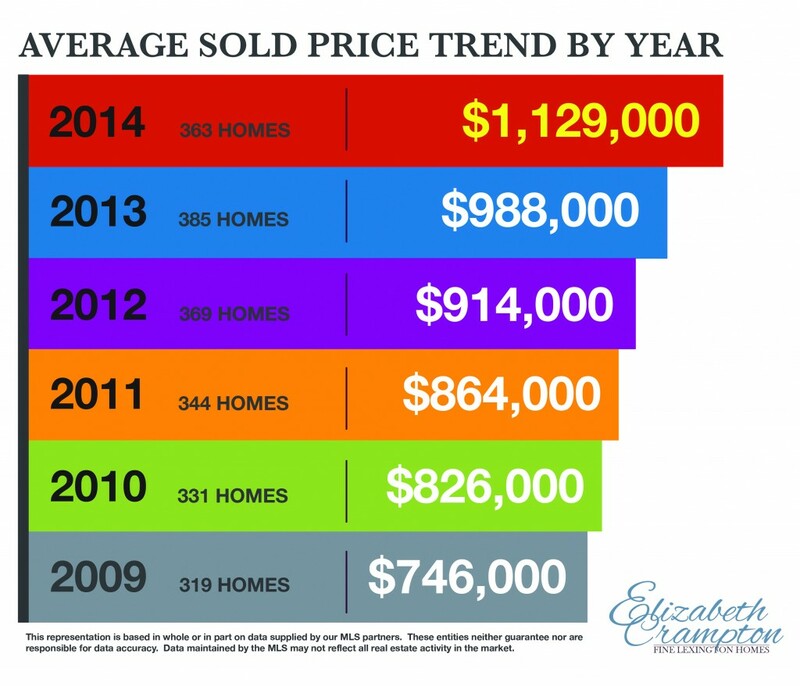 2014 is the first year since 1999 with an overall price increase for almost all of the above listed towns. 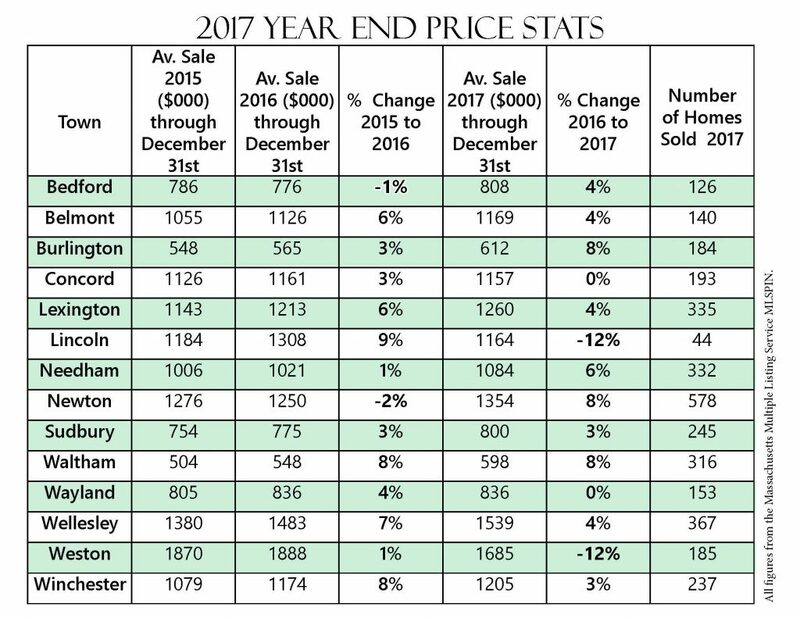 As an exception, Lincoln showed a 6% decline in sale prices between 2013 and 2014 but keep in mind that Lincoln also had the least number of sales among these towns. Specifically, 64 homes sold in Lincoln versus 195 in Winchester and 316 in Wellesley. Wide swings are common with a limited number of sales. 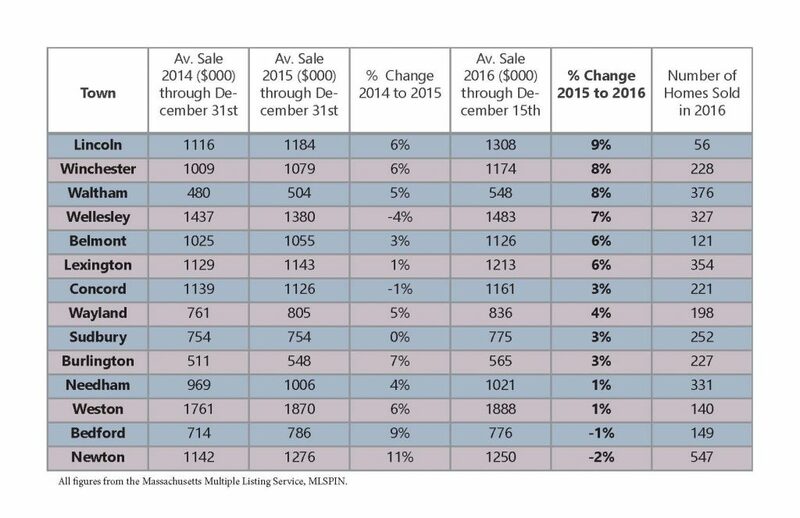 In fact, Lincoln saw home sales prices jump 17% during the combined sales in 2013 and 2014. What Factors are Driving up Average Home Sale Prices? Two of the biggest factors elevating prices are a strong economy and exceptionally low interest rates. For example, the growth and expansion of Lexington-based pharmaceuticals are encouraging employee relocations and families are choosing to live near the companies. Interest rates are still at historic lows and many buyers are borrowing with attractive 3%-4% rates. Banks are increasingly offering aggressive Jumbo loan rates making it easier for buyers to consider higher priced homes. Also, the desirable location, schools, culture and amenities available in most of Greater Boston keeps the area competitive. Towns offer unique amenities and vary in terms of what you get “for your money.” For example, homes in Concord and Lexington have sold in 2014 at roughly the same average price ($1,129,000 and $1,139,000, respectively) but the charming, inviting town of Concord will likely buy you more land and a short drive two Boston’s Commuter Rail, while beautiful Lexington offers more inventory, a variety of housing styles from vintage to new construction, and easy access to a vibrant town center parks and recreation. Another example is Newton where average prices also compare to Lexington’s ($1,142,000 for 2014) –but Lexington tends to offer considerably more house and land while Newton’s value is its close proximity to Boston. It’s no surprise that Lexington prices are pushing gently but firmly upwards. If any Boston suburb has proven recession proof, it’s Lexington. I know from personally tracking average sales prices in the MLS over the past 20 years that the town rebounded within two years from each of the last two recessions. Lexington offers an ideal blend of urban and suburban. A historic and vibrant town center has preserved its appealing “small town” feel. Below the surface you’ll find the best schools in Massachusetts, desirable restaurants, a Relais and Châteaux- status “Inn at Hastings Park,” music venues, art galleries and great shopping. The Hayden Recreation Center and Ice Skating rink (home to casual skating as well as world class skating teams), outdoor exercise trails, artificial turf fields, swimming pools and tennis courts, as well as acres of unspoiled nature trails and much more, offer a depth of recreation and sports facilities. Weston, where sales jumped 17% last year to a peak of $1,761,000, seems to react well to a strong economy and many buyers are choosing this well-located suburb. Its top tier brick and ivy schools rival that of the best New England preparatory schools. It boasts gracious estates old and new, abundant hiking and cross country skiing trails and a quaint, sleepy town center (complete with ice skating rink) that would be comfortable in a Norman Rockwell painting. Weston family life means rubbing shoulders with CEOs and CFOs at the local PTA meetings, the chance to belong to the exclusive Weston Golf Club, and the opportunity to own a large parcel of land in a bucolic setting only 15 minutes from Boston’s financial district. Burlington, shows a whopping 27% combined increase in sales prices over the past two years. Young professionals and empty nesters from “tonier” neighboring towns appreciate the central location and easy access to the major commuting routes and have snapped up the smaller homes and condominiums at several new developments. Along with abundant new construction, Burlington now has destination shopping and dining. For example, think Wayside Commons (LL Bean, Season’s 52, Capital Grill) and the Burlington Mall (Nordstrom’s, Cheesecake Factory, Macy’s). The most recent buzz is about Northwest Park, nestled among high-tech companies such as Oracle. This development is intended to feel like shopping on Boston’s Newbury Street and the anchor stores in this new urban-style restaurant and shopping center include Wegman’s, Kings Bowling and the upscale steakhouse, The Bancroft. Massachusetts and the US are recovering slowly and steadily, but prices are leaping and bounding in the Greater Boston Suburbs for reasons that are easy to understand. Click here to see Coldwell Banker’s easy-to-read Average Home Price map for every Massachusetts Town. 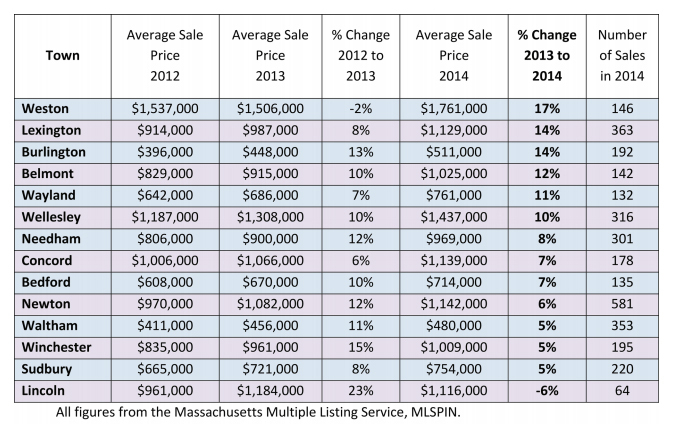 Attractive, well-priced homes will continue to move quickly in the highly desirable Boston suburbs. But the only two things that really matter to you are: The price of the home you will sell and the price of the home you will buy. 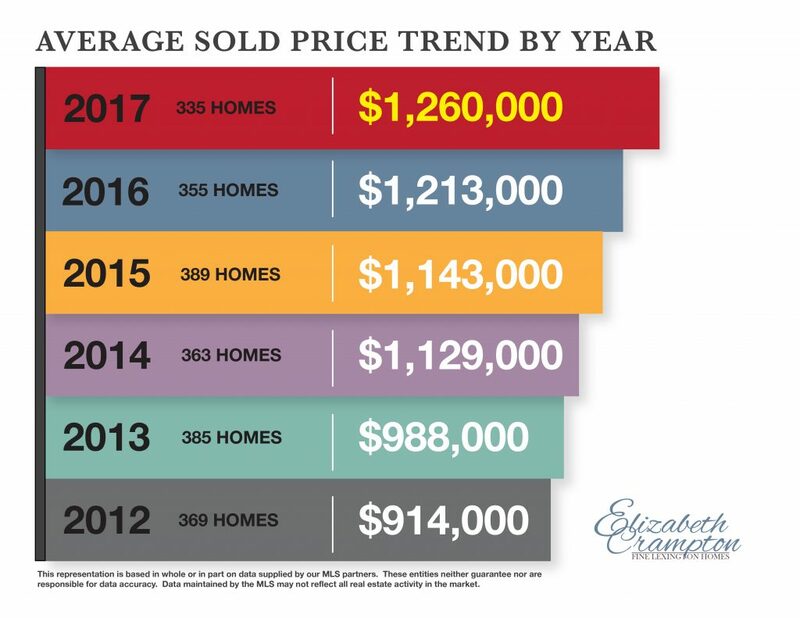 To get a clear estimate of YOUR real estate market, please call me at 781-389-4000 or email me at egcrampton@aol.com. I look forward to talking!